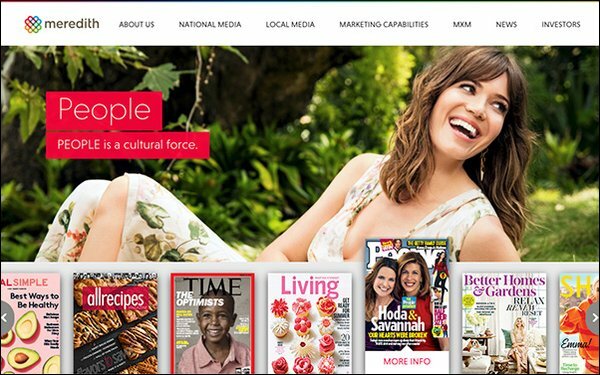 Meredith is shaking up its sales and marketing structure, appointing individual publishers at the brands it acquired from Time Inc. earlier this year. The new sales structure will consist of account teams made up of brand, corporate and digital sellers and marketers, with a principal point of contact for each account. Sellers and sales-focused marketers from former Time Inc. category teams will be integrated into one of these new teams. This approach is the opposite of what Time Inc. had been trying to do since 2016, when it began reorganizing its sales and marketing teams to focus on selling ads based on specific categories, such as pharmaceuticals and automotive. Meredith Corp. wants to prioritize selling ads based on individual titles. Now, if an advertiser wants to advertise in a specific magazine brand, it can work directly with that brand. If the advertiser wants to go beyond the print and digital reach of that brand, other sales people in that brand’s category can jump in. Group publishers Stephen Bohlinger, Giulio Capua, Laura Frerer-Schmidt, Mark Josephson, Daren Mazzucca and Carey Witmer will report to Doug Olson, president of Meredith Magazines, who will now oversee lifestyle, food and luxury brands. Bohlinger, for example, will continue as publisher of Better Homes & Gardens, while also overseeing Family Circle, with Lee Slattery as publisher; and Southern Living and Coastal Living, with Deirdre Finnegan as publisher of both titles. This new sales approach will also apply to titles Meredith has announced it may sell. Mike Schneider will serve as group publisher and publisher of Fortune and Money, reporting to Olson. Danny Lee, publisher of Sports Illustrated; and Jorg Stratman, publisher of Time, will report to Schneider. Time Inc.’s former custom content studio, The Foundry, will become the central branded and native content studio for Meredith. It will be more involved in the company’s sales and marketing efforts across all digital advertising products.